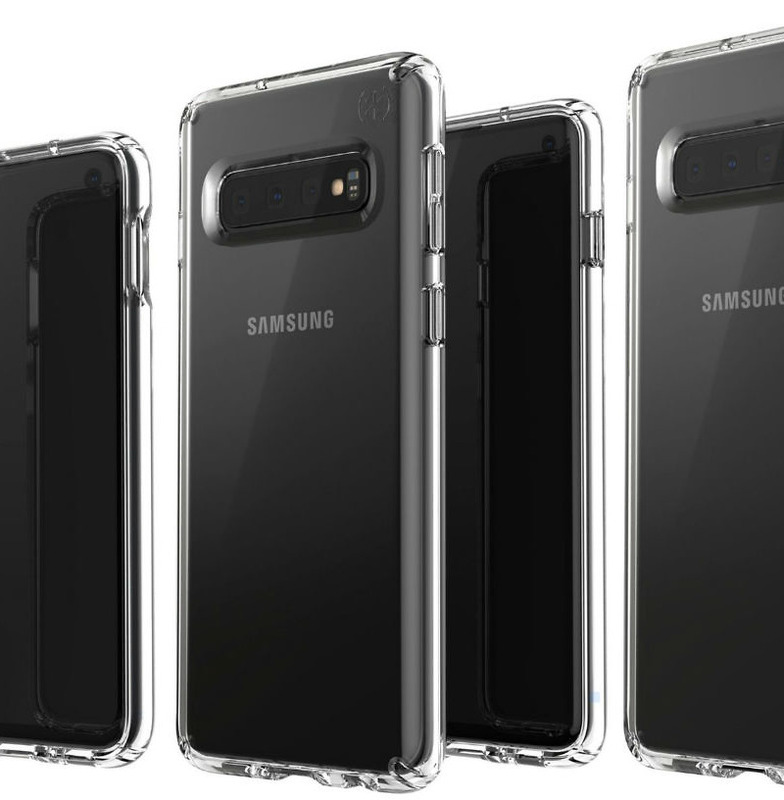 Thanks to @evleaks over the weekend, we can confirm that protective cases will be made and distributed to retailers for the Galaxy S10, Galaxy S10+, and as Mr. Blass labels it, the Galaxy S10 E.
As you may have guessed, I’m being a little playful, because the above photo that was tweeted out over the weekend is not about the cases at all. While the cases are fine and dandy, let’s discuss the devices they are on instead. According to @evleaks, left to right, we have the Galaxy S10 E, S10, and S10+. If the image is accurate in terms of size, the S10 E appears to the be smallest, which does align with the most recent reports. The largest in this lineup would be the Galaxy S10+, sporting not only three rear-facing cameras, but dual front-facing cameras as well. Related: Everything we know about the Galaxy S10 so far. Two other extremely important notes, you won’t see a fingerprint reader on the outside of the phone, as it’s expected Samsung will incorporate an ultra-sonic reader inside of the display, and along that same thought path, each display features a hole punch for the front camera(s) on the different models. For those wondering about the reported 4th model of the Galaxy S10, the 5G-capable Galaxy S10 X, we assume it’s not in this image lineup because it’s coming a little after these three devices are launched. If it matters to you, given the logo on the cases, these appear to be made by Speck, a well known case maker. You can assume they’ll be available for purchase alongside the new Galaxy S10 phones. Galaxy S10 is scheduled for official unveiling on February 20.